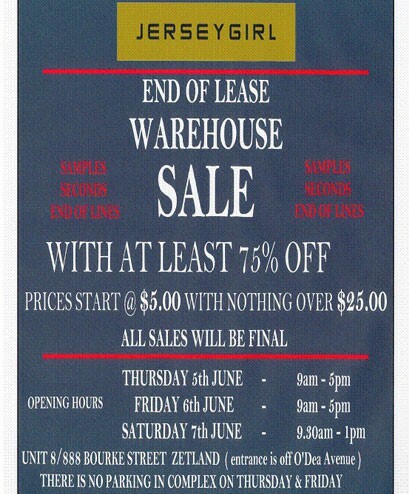 Don't miss this amazing sale at Jersey Girl. All samples, seconds and end-of-lines must go. 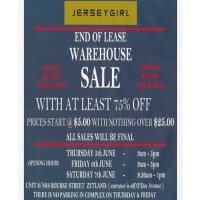 Visit the Jersey Girl sale and you won't be disappointed.